Getting a facial treatment is very important to help our aging skin to look supple and improve our skin appearance as well treat problems including acne, pimples , helps reduce blemishes and removes dead skin. It also help our skin smooth and glowing. Facial treatment seems to be a relaxing period not just for our body but also emotionally although taking out those black heads makes me cry and totally hit my sensitive nose. There are many kinds of facial treatments done by skin care professionals. Treatments ranges from cheap or affordable one to the most expensive treatments. Whatever treatments you choose, it always comes back to the main purpose of getting a facial treatment which is to bring radiance and treat the aging skin. K Drama, K Pop, K actors and actress, those are just acronyms that are getting raves this days. It’s no surprise since we can see how good they were. But what interests me much is their pretty and flawless faces and skin. Perhaps they got it from their genes or the cold weather but i have read from an interview from one of my fave K actress, that her secret is not actually a secret but it’s with eating the right food rich with good vitamins and minerals and of course their beauty regime which composed of quality products. One site that offers korean beauty products is Wish Trend. If you are wishing for beautiful fair skin, this is your one stop online store. I love that you don’t need to search different sites to find the best skin care products since you can find it in just one store and the best thing is it will be delivered right infront of your doorstep. Now, that they have renewed their site, you can assure that they will continue a legacy of giving beautiful treats to their customers and skin care fanatics. It’s a frustration to look at the mirror and see those irritating small black or white bumps on your nose, forehead and some part of the face. Sometimes, i can’t even take it that i would just prick it to remove what’s inside of it. During my teens, i rarely got a chance to have pimples or black-heads but when i got pregnant, all those black heads appeared on my face that even made me cry and angry. I guess, that’s what studies says that during your menstruation or pregnancy the production of sebum increases and does the reason for the breakouts. Now, how come it was black? Because of too much oil and our skin is exposed to the air , it oxidize and eventually turn to black. Too much oil in our face can product break outs. One way to remove black heads is trough extractions and proper skin care regime. Beauty clinics offers extraction but for a busy mom like me, going to the spa can consume precious time. Ciracle, a korean brand has the specific product that can help you say good bye to that irritating blackheads and pimples too. Can be used for all skin type, this good-bye blackhead off cotton mask is very easy to use. I have used different mask before but this one is different. So, i have to carefully study the procedure as not to miss anything. Leave the sheets for about 15 minutes (as suggested on the pack) to gain maximum result. However, do not let it dry so you need to remove the sheet if it is still moist. Remove the sheet and use a cotton to wipe out the black heads. Finish it by rinsing with clean water and there you are, a fresh black heads free skin. 1. You may feel a tingling sensation when using it for the first time. This is normal as the natural extracts and special ingredients are actively removing the dead skin cells. 2. If blackhead do not elevate as much, try rinsing the face with warm water or use a steamed towel on the face to open up the pores beforehand. When the sheet dries up while using it, air pressure and vaporization may push the blackheads back into the skin. So make sure you remove the sheet when it is MOIST, even if it’s been placed for less than 15 minutes. You can use 2 sheets overlapped for deeper blackheads. Also air bubbles may hinder the elevation of blackheads, so make sure the sheet is firm on the skin. Moistening the sheet with water or plastic wrapping around it can give better results. Pores are sensitive to temperature, so avoid using it in cold weather/area. 3. It is recommended to use the product everyday for the first week to remove excess blackheads. Afterwards, use 1-2 times/week for dry-normal skin, 2-3 times/week for oily skin. However, you can use as often or as seldom as you want depending on the skin condition. 4. For more effective results, open the pores beforehand by using warm water or placing a steamed towel on your face for a couple of minutes. It’s very convenient to use and the fact that you can just do it at home, this can save a lot of money and time too. Very affordable at Php. 66.00 or just around $1.75 . Each Blackhead Off Cotton Mask is made with 100% cotton soaked in natural plant extracts such as Witch Hazel, Peppermint, Sage and Mistletoe, which mean you don’t need to worry about harsh chemicals. Will I buy this one? Would love to try more. Within 15 minutes i see some traces of black heads on the mask but it was just little so i guess i have to try it again. But nevertheless for smart buyer, we always look forward to good result and this product fulfilled that expectation and not to forget, the affordability. To get maximum result for a beautiful black head free face, you can also use Ciracle toner and Ciracle Jeju Volcanic Clay Mask (read my review here) to remove the oil that caused stubborn black-heads. Shop them here or follow Ciracle on Facebook to learn more about this product. With the stardom of Korean Pop idols and well known korean dramas, I could not help but to envy those beautiful flawless face they have. I told myself that it is perhaps of their genes or the beautiful weather but learning about Ciracle, a well known korean beauty product, made me realize it’s because of products like this that they can able to achieve flawless and beautiful skin. The ingredients of this product actually came from the famous Jeju island. Remember those romantic kdrama that shows this beautiful island? How, i wish i can go there someday. The volcanic clay contains 6700mg of volcanic ash that gives the ability to cleanse the impurities of our skin. Helps to absorb the sebum in our pores and assist various problems such us black-heads,blemishes and dry skin and removes dead skin cells. The clay helps reduces skin troubles as it moisturize it to make it more soft and smooth. 1. Wash face and follow up with a toner. You can try Ciracle Pore control tightening toner. 2. Apply mask onto face with 2mm thickness. 3. Make sure you cover problem areas such as blackheads, large pores and blemishes. 4. Leave the mask on for 20 minutes. If you feel a tingling sensation, this is normal. The natural plant ingredients in the formula are helping to remove dead skin cells. If redness or irritation occurs, stop using this product. Do not use over injured or infected skin. Use 1-2 times a week if you have normal skin, and 2-3 times a week for oily skin. With the mask on my face, i dream about Jeju Island, walking on the sea shore and enjoying the warm breeze of the air and with the light smell of the mask, i could not help not to fall asleep. But that would be messy, so i have to stay awake and play monster with my little boy. After a few minutes you can feel a tingling sensation but there is no cause for alarm it will pass soon and you’ll get acquainted with it. You can buy this for Php. 990.00 or around $25.00 which is a real value for money. You can use the product for around 4 to 5 months in my calculations. Since, you only need a handful and with the result for a two weeks trial, it’s really wonderful. So, i definitely would buy this again. To achieve beautiful radiant skin , you can also use Ciracle Jeju Water Sleeping Mask, an effective overnight mask which can renew the moisture and suppleness to tired and dry skin. It contains natural minerals, flakes of pure gold, and natural Jeju mineral water to nourish the skin and protect it from toxins. I got a sample to try but you can buy the original size at Php. 1, 290. Hmm, a flakes of pure gold, you could just imagine how good it feels. Good thing, you don’t need to go to Korea to buy this. You can check out Ciracle Philippines online shop or follow them on their twitter account to know the latest skin care product. Disclosure : Sample products were given to me to try but opinions are mine. Directions to use this product was copied from Ciracle Philippines website. Got this product from Ciracle Ph to try and review the result. I’m so excited to share them with you but currently, i’m still using it . So, hope you could visit back and check my review on this products. I’m definitely looking forward to a more natural beauty. Spring brings not just beautiful flowers, it also represents the beauty of life. Pink is one color of spring that you could use to create a perfect spring look. I so love lipstick that i thought, it would be very nice to have a pink lipstick match them with a pink eye and blush on. You can choose to match them with your pink ensembles or just a light attire to brighten your day. Simple and fresh looking. Definitely a must try , good for a morning affair with family and friends. Here’s a set of pink for a perfect Spring Beauty. Since, we are talking about spring, Don’t forget to check out Romwe’s Spring Giveaway at Street Belle Fashion. They are giving Free leggings on “Street Belle Fashion” page., 10 winners will be picked daily! Comes in a recycled paper bag, Sample Room offers different sample product exclusively for their followers. Products ranges from skin care, hair , perfume and make-ups. Founded by a beauty blogger, Sample room provides sample products (does the name itself) for consumer to try and review before buying the actual size. 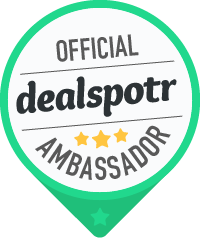 You can get sample by using your available points and that points will be returned to you plus additional point after you have made a review on that certain product. This pampering face cream infuses the complexion with lasting hydration and protects against environmental damage, leaving skin feeling supple and soft gaining back its natural glow. Sounds good, don’t you think. Indeed true, upon using the sample product, I instantly feel that my skin become more supple and soft and it has a light smell which means I don’t have to worry my nose. I guess continuous usage of this moisturizer will give you more lasting benefits and a glow that I have always wanted to achieve. Would I buy them? Perhaps I might but the price is beyond my means this time. Back to Sample Room, I guess, I’ll look around again and see items I would like to try but just an advised , shipping fee will be charged so make your choice well and get two items or even three if your points can do so. Equipped with ERC5 (epidermal replenishing complex) unique combination of five ingredients to help maintain healthy skin. Cetaphil Daily Advance Ultra Hydrating lotion is specifically created for those people who had dry to very dry skin. The non-greasy, fragrance free and non-comodogenic lotion is best suit for people like me who suffers flaking and skin dryness. I don’t need to worry about blocking my pores or harsh ingredients. When use liberally all day, you can feel the softness and smoothness it brings. As we grow older, our once smooth skin can become dry because of different factors that we encountered each day. That’s why we need the help of lotions to bring the softness our skin lost. Although, the smoothness could not be achieved over night with the frequent use of Cetaphil Ultra Hydrating Lotion, i know and believe that my skin will be back to it’s glorious time. Now, you can see the shiny effect it gives on my hand. It’s shiny and not greasy and the fact that it is more smooth, now my husband would probably hold my hand more. I got this product from the green giveaway of Kiehl’s Manila on facebook months ago and I’m so eager to try it as soon as I’ve got it. The collection includes , Deep Pore Daily Cleanser, Refining Tonic, Pore Minimizing Lotion, and two other small tubes. Rare Earth Deep Pore Daily Cleanser: The description says it helps purify and cleanse skin. It contents Amazonian White Clay & finely crushed Diatomaceous Earth particles (amazonian clay comes from the Marajó Island at the mouth of the Amazon River). It eliminates surface residues, toxins & grease to prevent enlarged pores so your skin would appear more clarified & refined. I used to have normal skin but since i gave birth, my skin becomes more oily so i am now more prone to acne and pimples. So, i decided to make this my regular regimen and even it’s for the face, i also used it on my neck and my arms to even my skin tones. Rare Earth Deep Refining Tonic: Also known as toner. It has amazonian clay particles that you can visibly see at the bottom. So, you need to shake it first before using. I love looking at the clay and yes, i enjoyed shaking them. Unlike from other toner that i have used before, this one doesn’t sting and it has no foul odor but you can smell the clay. It is paraben- free and it controls shine and repine those big pores. Rare Earth Pore Minimizing lotion: This lotion minimize enlarged pores and refines your skin. It is formulated for normal to oily skin. It is an oil-free treatment that contains Amazonian white clay to help absorb excess sebum and refine the look of pores. No skin regimen is complete without using a moisturizer but considering the fact given, this lotion has no spf and because i am always prone to sunlight, i needed that extra spf for my face. Additional Comment and Verdict: After using it for sometime, i finally see that my face is more subtle and smooth although some of my pimples are still visible, i have to admit that it changes for good. My face feels refreshed after use and you can instantly feel that your pores are tightening because of that certain feeling. You can buy them on your nearest Kiehl’s Store or you could buy them online via amazon. Who doesn’t love freebies? I so love them that even this website name is dedicated to freebie finds. Another great freebie for every mom is this Mimi Skin care products which includes sample pack of their four skin care products. Our sample pack is great way to try a range Ma Mi Skin Care products and take the first step to glowing skin! Packed in a little green sachel, it also makes for a great skin care travel pack! Each sample pack includes our Reawaken Cleanser, Glycolic Exfoliator, Nightshift Eye Serum and Satiated Moisturizer.